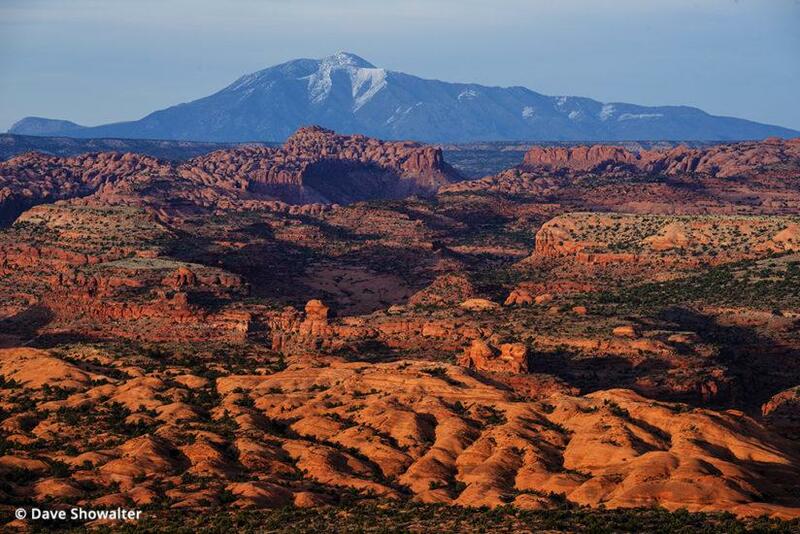 The Egypt Overlook in Grand Staircase-Escalante National Monument gives an expansive view across layers and shapes of sandstone to the Henry Mountains that hold snowpack destined for the Escalante River. 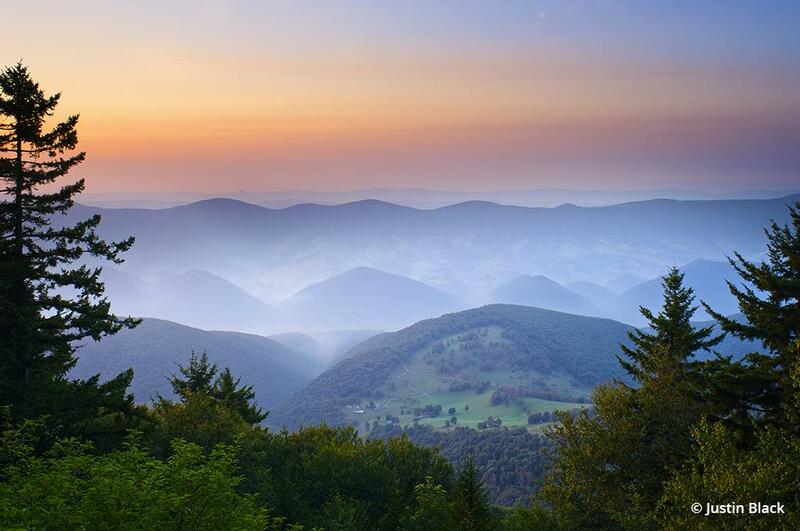 After establishing the scene with a big landscape image like this, you can take your story any direction you wish. From my wanderings, it’s clear we really love our iconic western landscapes. At the Maroon Bells, Delicate Arch, Oxbow Bend and photographic icons across the landscape, you can squeeze in and cross tripod legs with swarms of fellow photographers for the classic landscape shot. 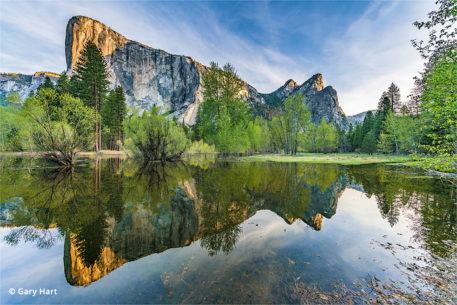 While our national park and public land icons feel the crush of tourism from all corners of the globe, another trend is emerging in the photographic community, as more photographers are interested in visual storytelling and conservation. In the 2017 North American Nature Photographers Association (NANPA) member survey, the vast majority of over 500 responding listed conservation/environment in their top two priorities. We want our images to stand for something. The iconic landscape is woven into public lands conservation and the psyche of our collective photographic DNA. With lightning-fast cameras in hand, we trace the footsteps of William Henry Jackson, who, hauling 300 pounds of gear, made photographs of Yellowstone and the West on the 1871 Hayden Expedition. A year later, Yellowstone National Park was founded, inspired in part by Jackson’s images and Thomas Moran’s “Grand Canyon of the Yellowstone” masterpiece in oil. 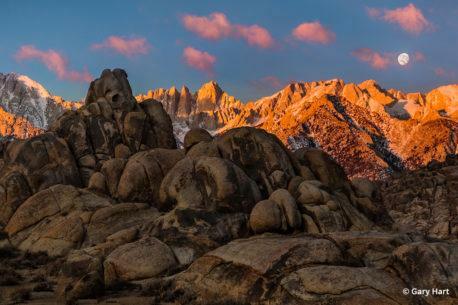 The scene of Ansel Adams’ 1923 image “Banner Peak, Thousand Island Lake” is a centerpiece in the wilderness that bears his name, a single image in a lifetime of environmental advocacy, now called conservation photography. In 1955, Philip Henry Hyde’s “Steamboat Rock” was a bulwark against damming Dinosaur National Monument at the confluence of the Green and Yampa Rivers in Echo Park. 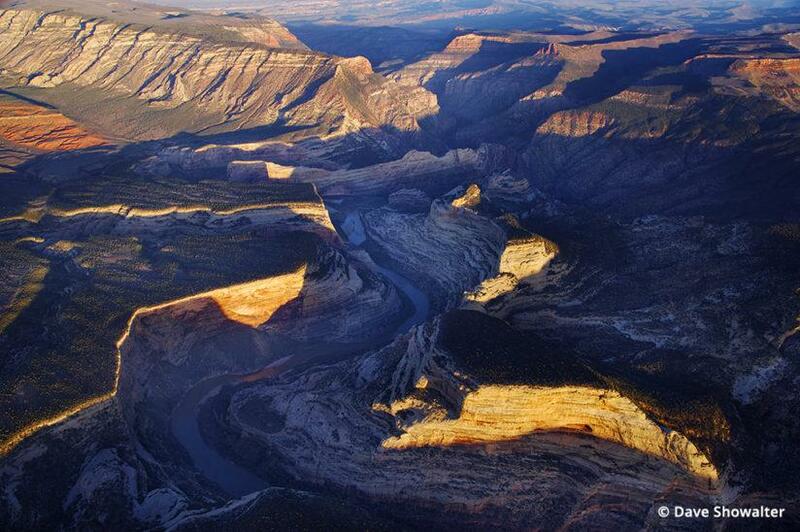 Hyde’s legacy lives on in free-flowing rivers today, in keeping dams out of Dinosaur National Monument, Grand Canyon National Park and all National Park Service lands. The confluence of the Green River and wild Yampa River at Echo Park was the scene of the contested Echo Park Dam that Philip Henry Hyde photographed in 1955. I made this image on a flight with LightHawk aerial support to document encroaching natural gas drilling encircling Dinosaur National Monument, Colorado. Through our lenses, we celebrate wilderness, heritage and enduring wild—a sense of where we came from woven into these classic landscapes. Yet I’m advocating for new big landscape images and stories that stand for what’s at stake and conservation of our public lands. Think of Yellowstone as an example. 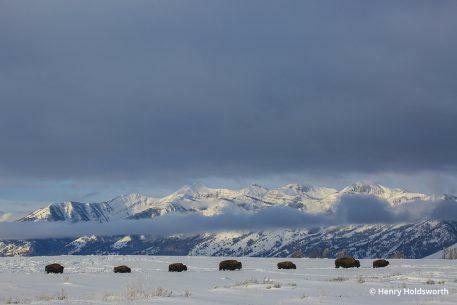 Yellowstone National Park is a rectangle inside of a polygon that makes up the Greater Yellowstone Ecosystem (GYE). 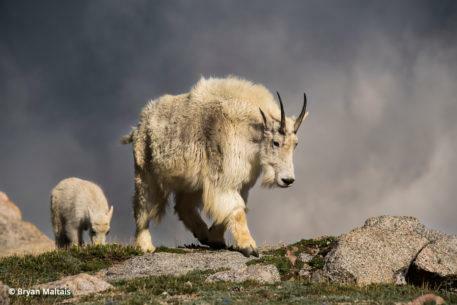 “Buffer” lands that surround the national park provide the habitat for seasonal migrations of elk, mule deer, pronghorn and bighorn sheep, and for wolf and grizzly bear movements. Yellowstone isn’t Yellowstone without these public lands managed by the Bureau of Land Management and U.S. Forest Service. You’ll find this story across the West. Increasingly threatened BLM and USFS lands are integral to functioning ecosystems, under-photographed and waiting for the next story. The International League of Conservation Photographers’ (iLCP) mission is “To further environmental and cultural conservation through photography.” Wikipedia defines conservation photography as, “The active use of the photographic process and its products, within the parameters of photojournalism, to advocate for conservation outcomes.” Simplified, anyone can be involved in conservation photography by making compelling images that tell a visual story, forging partnerships, taking people along for the journey with images and stories, and advocating—persistently beating the drum. 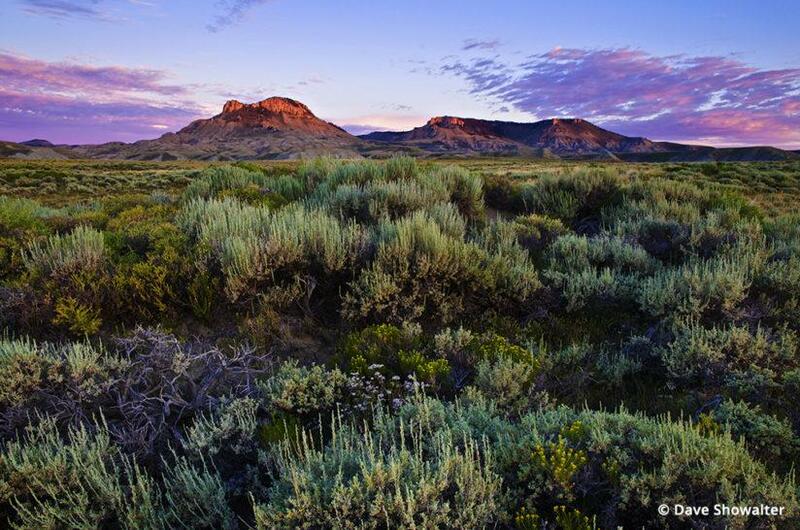 The Oregon Buttes in Wyoming’s northern Red Desert are situated at the crossroads of Old West and New West, in a public lands Wilderness Study Area threatened by energy development. This nexus—of ecological value to the sagebrush ecosystem and an important touchstone on the Oregon Trail—speaks to many threads of the story in a single image. In 2008, troubled by an energy rush, associated habitat loss and wildlife declines, I started a project in the sagebrush ecosystem. I’m not a biologist and had never seen a greater sage-grouse when I went to the office of Audubon Rockies and shared my plan to begin a long-term project in the sage. I’d done some research and knew that Audubon has a visionary Sagebrush Ecosystem Initiative campaign supported by great science, so I reasoned they’d want to work with a western photographer long on passion and short on knowledge of the ecosystem I sought to protect. My sagebrush education began that day in Laramie, Wyoming, developing over six plus years into a book (Sage Spirit, The American West at a Crossroads, published by Braided River), campaign and most likely a lifelong project. 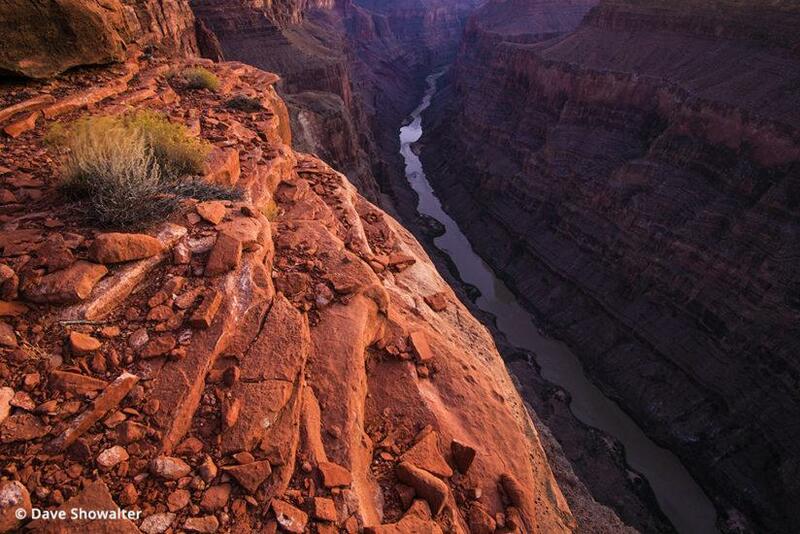 Toroweap Overlook on the Grand Canyon’s North Rim offers a long view of the Colorado River, a thin-line metaphor through the Grand Canyon desert landscape. Touchstones like the Grand Canyon are important to a river story, grounding the viewer in one of our most celebrated places. Maybe you have a story idea or just a thread, an issue, species, a cause that you want to apply your photographic talents to—the seeds of a conservation project waiting to be planted. All we need to begin is an issue and desired outcome; we’re planting seeds with every image we make and share, well-captioned to tell a story in every frame. 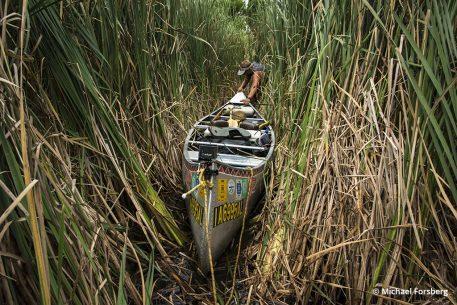 Conservation photography projects are scalable, and no matter how ambitious your story-telling vision and story angle, you’ll need landscape images to ground your viewers in place, the stage of your story. Photojournalists are taught to make a big, wide-angle view, followed by a tighter image, then get in close for an even tighter image—a three-part story. Your big, wide-angle image is the foundation and starting point for the viewer to engage in the story by seeing themselves in your shoes, taking in a grand landscape view. These images are made purposefully, composed with essential story elements, timed with astrological cycles, changes of season and wildlife movements; or, organically, seeking to make one strong landscape image when the alchemy of light and land, water or ice dance in your viewfinder. Conservation stories often begin with beauty, an appeal to our common values and starting point of civil conversation: open space, clean air and water, wildlife, a sense of freedom worth protecting. Of course, stories aren’t always beautiful—spending some time with Daniel Beltra’s abstract aerial views of climate change and the Gulf oil spill will rearrange one’s thinking about visual storytelling. Artful journalistic images that pull on heartstrings and appeal to our collective sense of environmental justice have a lasting impact; you can’t un-see an oil spill. The backstory to this small pronghorn herd in the Cochetopa Hills, backed by Stewart Peak, is recovery. Record snowfall in the winter of 2008 decimated pronghorn, mule deer and elk in the Gunnison Basin. 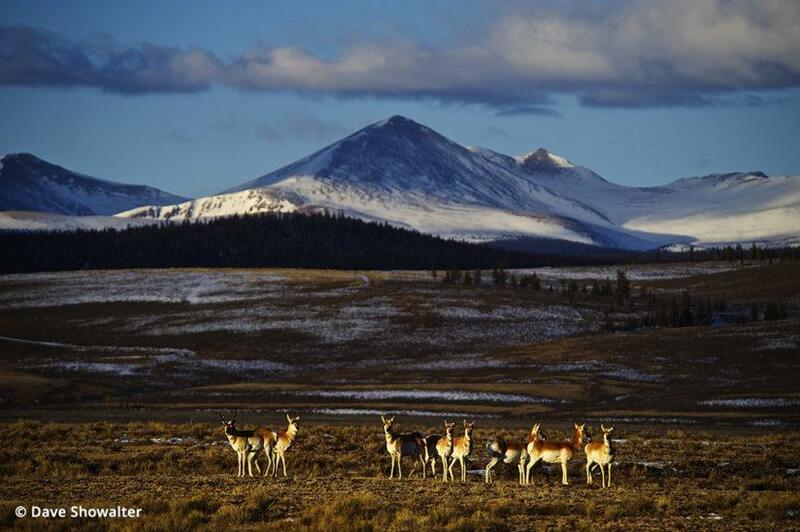 Pronghorn were relocated into the Cochetopa Hills and have since recovered, thriving with the help of Colorado Parks and Wildlife and federal agencies. Gunnison National Forest, Colorado. There is no wildlife without habitat, the genesis of the conservation story and the big, iconic landscape image. Grass is to the Great Plains as sagebrush is to the Intermountain West, ice to the arctic, forest to the Tongass. These elements, biomes that hold landmasses together, are essential to our conservation stories. Depending on the story complexity and geography, you’ll likely have single images that represent threads of your story and thematically speak to beauty, values, threats and scarcity. A western watershed story, for instance, will have beautiful river images, big landscapes of mountains holding snowpack at the source where our water comes from, dams that impound water, views of the agricultural landscape and people where water is put to work. If there’s a new Keystone Pipeline coming to your watershed, you’ll want to make before and after images to tell your story more fully. Give a good deal of thought about angle of view, give yourself a lot of latitude, and have fun experimenting. Getting higher, whether standing on a vehicle, mountaintop, with a drone or from a plane, often reveals the complexities of how everything fits together on the ground. 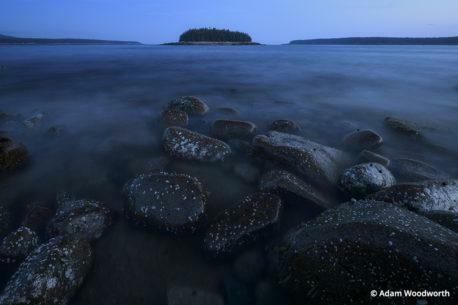 Or get down low and include a strong foreground element, David Muench-style. Get creative, use planning tools like Google Earth and the Photographer’s Ephemeris app to assist in finding the right perspective for your iconic project landscape. 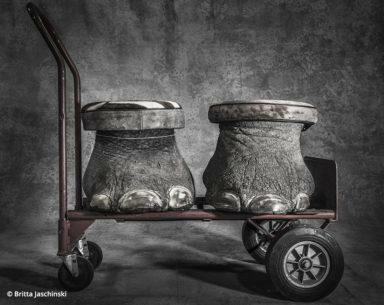 Photograph classic scenes in different ways and caption them well. 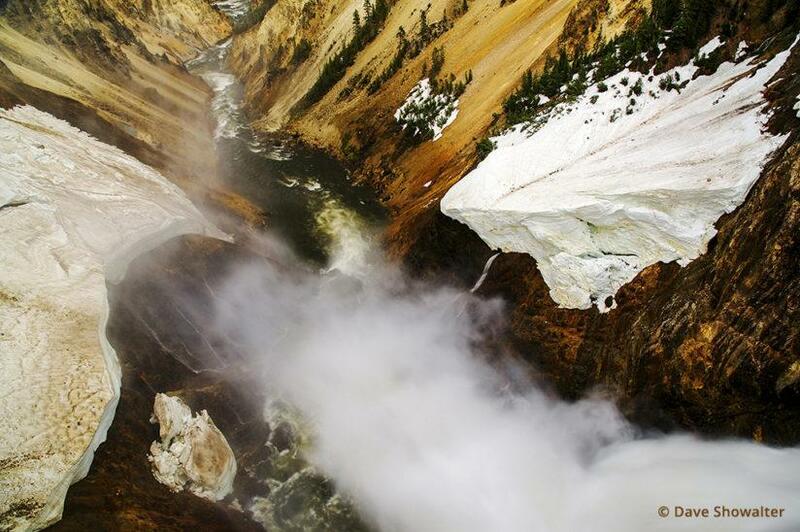 The powerful force of Lower Falls flowing through lingering snow in “Grand Canyon of The Yellowstone” is deafening close up. A major tributary of the Missouri River, Yellowstone River headwaters flow from the high peaks of the Absaroka Range in Yellowstone National Park and run 692 miles to meet the Missouri River in Montana. 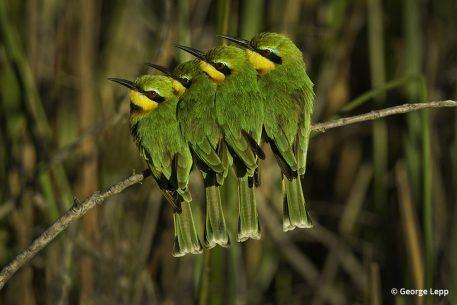 When sharing image posts or blogs with your social media network, tell a story with strong, thought-provoking, informative and scientific captions, and link to conservation groups and others who are doing good work. In turn, share conservation posts with your network. Use your phone—we have unlimited multimedia options to share images and tell stories, beginning with the multimedia machine in our pocket. 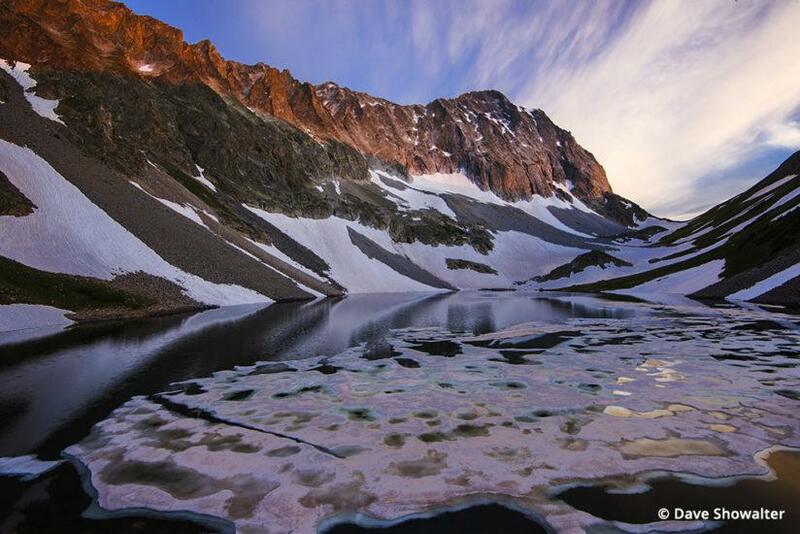 Lingering ice with melting pools adds interest to Capitol Lake beneath Capitol Peak, just before a July sunset. A “Where does your water come from?” story awaits. Maroon Bells, Snowmass Wilderness, Colorado. It’s daunting filling in the spaces between the “why” and “how” of a visual story, but taking the next step to developing a conservation project doesn’t need to be as big as it sounds. We’re already obsessed with photography, so redirecting our efforts to tell a story is a natural bend in the trail. Look around close to home, where you know the geography, wildlife movements, how the light falls across the land, conservation issues and most likely some people who are engaged in those issues. Talk to regular folks, biologists, agencies, conservationists and landowners. Read everything you can, study maps, and just start. Make one image, then another. Seek out the soul of the land. Trace your water supply to its source. 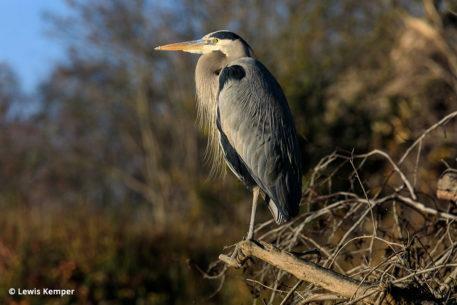 Study one creature and its habitat through the seasons. Photograph a threatened place, wildlife and human connections, and be an advocate with that body of work. Tell a people story—we need to know our conservation heroes. Document cultural or social issues for change. Explore conservation in the areas where humans and the wild interface, at the edges. What does climate change look like in your area? You’ll figure it out, make big landscapes that cradle your story, and one day that project will take you where it needs to go. Conservation photographer Dave Showalter is focused on the American West. He is a frequent presenter, author, instructor and a Senior Fellow in the International League of Conservation Photographers. He has published two books, Sage Spirit, The American West At A Crossroads and Prairie Thunder, The Nature of Colorado’s Great Plains. See more of his work at daveshowalter.com. 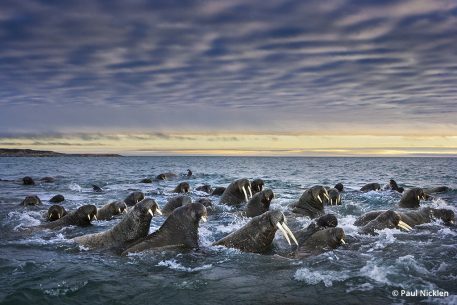 Photography has often played an important role in conservation efforts to preserve wild places. Read now. Fantastic and inspiring. Thank you, this is where I want my photography to go.